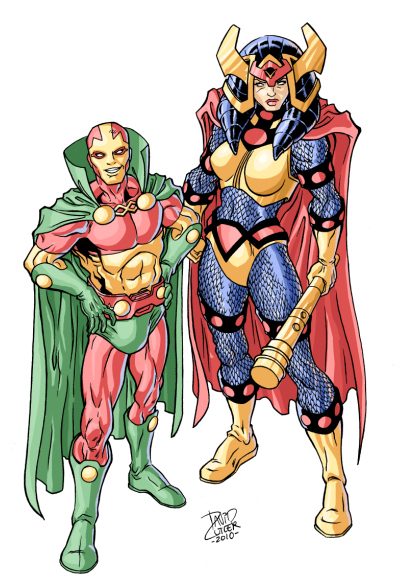 Posted January 17, 2011 in Big Barda, David J. Cutler, Mister Miracle. Mr. and Mrs. Miracle courtesy of Toronto based freelance illustrator/comic book penciler David J. Cutler. David’s illustrations have been published by Real Kids magazine and 5Finity Productions. His latest work, in collaboration with writer Ty Templeton, is Northern Guard, a 3-issue mini series from Moonstone Books. You can find more from David at his blog and DeviantArt page.